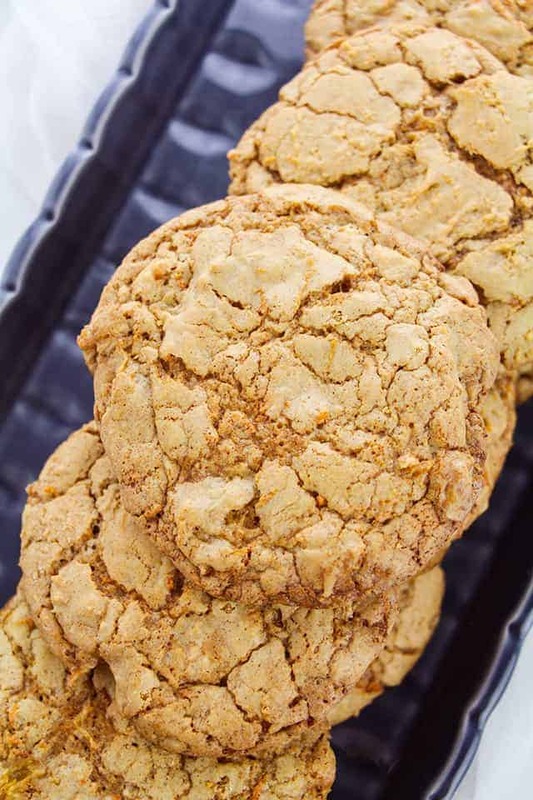 These carrot cake cookies are packed full of flavor. They have a pretty crinkled top and a chewy texture. They could easily become carrot cake sandwich cookies if you wanted to fill them with a cream cheese frosting. Be sure to check out my carrot cake bars too! 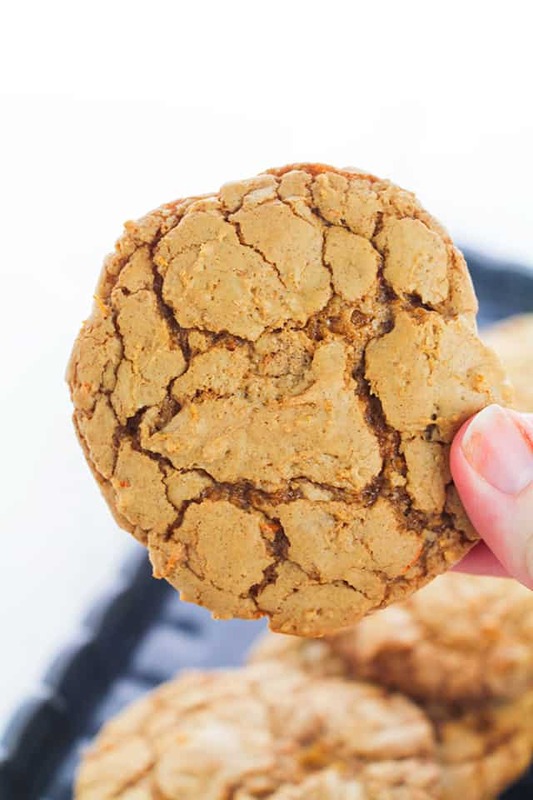 These easy carrot cake cookies are chewy and totally spiced up. They have bits of grated carrots, crushed pineapple, and white chocolate chips in them. What I love most about these carrot cookies is that they have a gorgeous crinkle top that shows off all of the flecks of carrot in them. 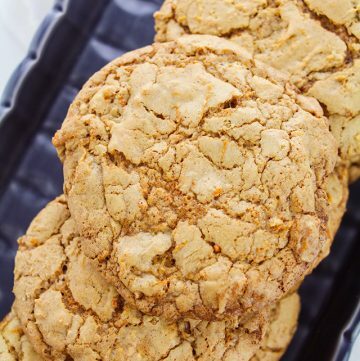 Are you ready to make this carrot cake cookie recipe? You won’t regret it, I promise! First, let’s get a list of those ingredients for you. There might be a couple of surprise ingredients that you didn’t think were in here. It looks like it’s going to be a lot of work to make these cookies, but it’s really not! The best part is there’s no waiting on getting that butter up to room temperature. These easy carrot cake cookies are great to make with your kids or grandkids especially if they love to use the hand mixer as much as my son does. I like to do a little prep work before I start mixing ingredients. I get out my box grater and shred my carrot. 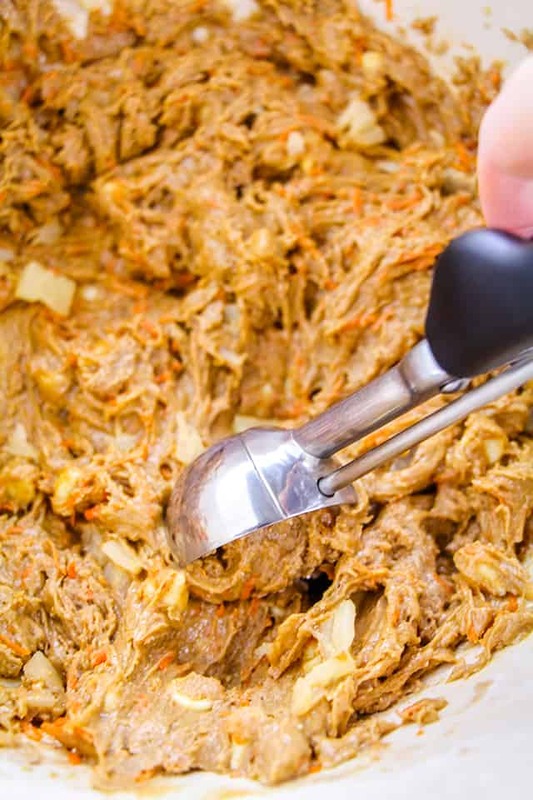 You should end up with about 1/3 cup of shredded carrots. After that, drain and measure out my crushed pineapple. You’ll have some crushed pineapple leftover. Grab a large mixing bowl and add all of the dry ingredients into the bowl. The first 7 ingredients in the recipe card down below. Whisk to combine them. Next, add the oil, eggs, and vanilla extract to the dry ingredients. Beat for about 2 minutes on medium speed. This helps the eggs form a shiny meringue surface. Stir in the carrots, pineapple, and white chocolate chips. Using a 1 tablespoon cookie scoop, scoop the cookies out onto a prepared pan. I linked to my favorite cookie scoop for you to check it out. Can You Freeze Carrot Cake Cookie Dough? Okay, you can’t freeze this carrot cake cookie dough. 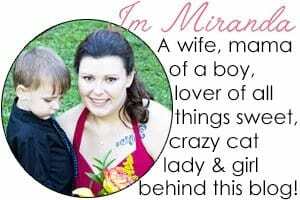 Here are a couple of reasons why. The first being that the dough is soft and whipped. See that shiny, meringue shell on the cookie? That will be completely gone as well as the texture if you were able to freeze these cookies. Secondly, it has a double acting baking powder in it meaning the baking powder is first activated in the batter before it’s baked. That baking powder activation will be long gone if you freeze the cookie dough. I will tell you what you can do though. You can bake those tasty carrot cake cookies, let them cool completely, and then freeze them. I would stack the cookies, tightly wrap them in plastic wrap, then in foil, and finally a freezer bag for good measure. They should last up to about 3 months in the freezer. To eat them, let them come back to room temperature. Are carrot cake cookies good? What kind of question is that? YES! All cookies are good! If you love carrot cake, you’re going to love these cookies. If you need the satisfaction of a cream cheese frosting, make these carrot cake cookies into sandwich cookies filled with cream cheese frosting. What more carrot cake in your life? In a large mixing bowl, add the flour, sugar, baking powder, salt, cinnamon, nutmeg, and ginger. Whisk until combined. Add the oil, eggs, and vanilla to the dry ingredients. Beat with a hand mixer for 2 minutes until well combined. Scrape down the sides and bottom of the bowl to avoid patches of dry ingredients. Stir in the pineapple, grated carrot, and white chocolate chips. Use a 1 Tablespoon cookie scoop, drop the batter onto your prepared cookie sheets about 2 inches apart. Bake for 8-12 minutes, until the cookies are cracked on top and edges are golden brown.